Take charge of your game and step into the newest turf shoes from Nike. 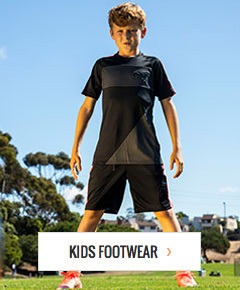 At soccerloco we offer a wide selection of the freshest Nike turf shoes & cleats on the market. Nike has shown once again that when it comes to lightweight, durable, and high performing cleats, they have the recipe for success. Whether playing on artificial or synthetic grass, you’ll dominate the pitch with these awesome kicks. With Nike’s focus on delivering you a top quality cleat that matches in style, watch the competition stare at your cleats in envy as you dribble by. It’s time you make a statement. Order online today at soccer loco and receive low flat rate shipping and no hassle returns on all orders. Shop soccerloco today and kick you game into high gear!